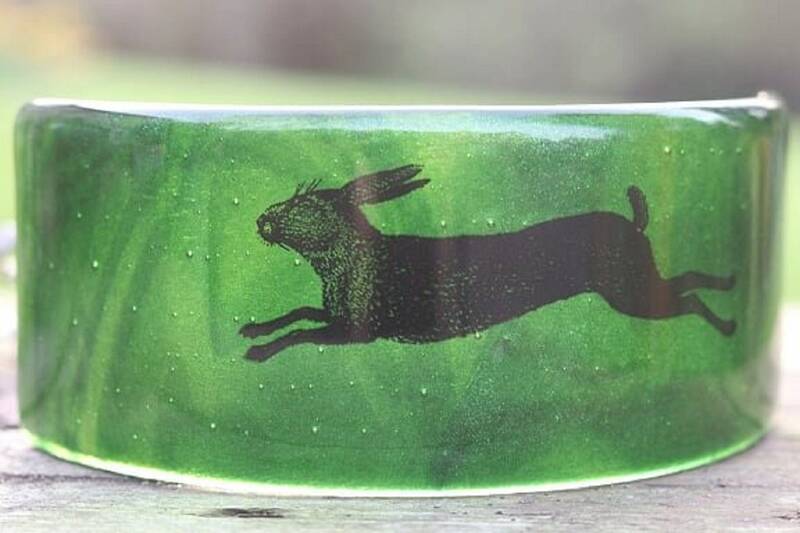 Swirly sparkly green glass rabbit panel measuring approx. 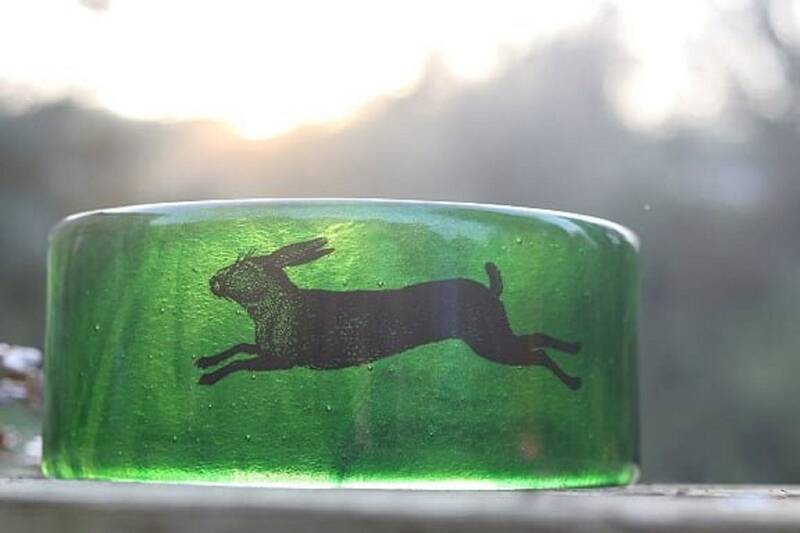 7.25 x 16.5 cm. This panel looks lovely with light or a tea light behind it. 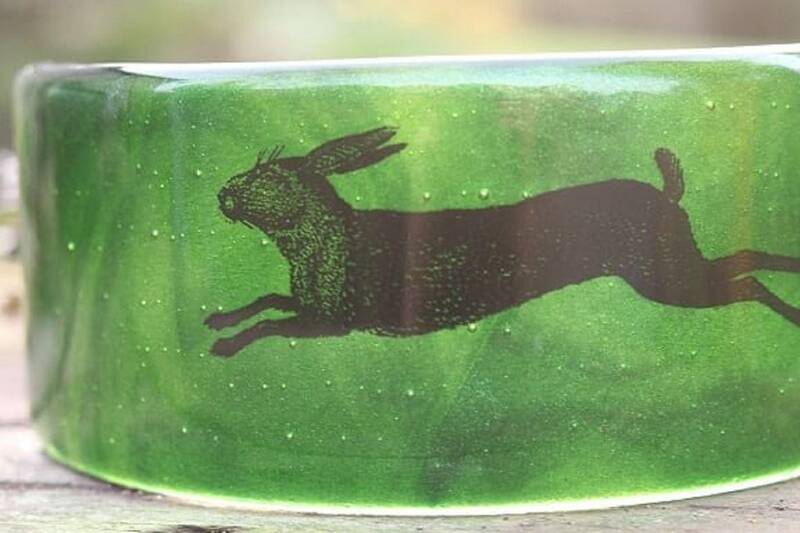 Created in my home studio in Bristol though 3 kiln firings.